What Is a Severe Allergic Reaction? What Are Causes and Risk Factors for a Severe Allergic Reaction? What Are Signs and Symptoms of a Severe Allergic Reaction? When Should Someone Seek Medical Care for an Allergic Reaction? What Exams and Tests Diagnose an Allergic Reaction? Are There Home Remedies for an Allergic Reaction? What Are Medical Treatments for a Severe Allergic Reaction? What Medications Treat Severe Allergic Reactions? Is It Possible to Prevent a Severe Allergic Reaction? What Is the Prognosis for a Severe Allergic Reaction? 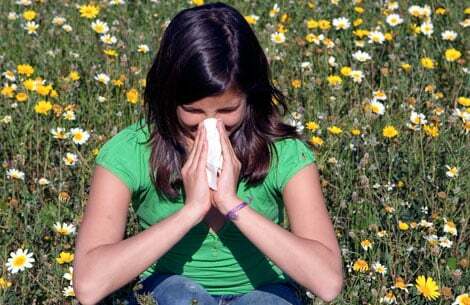 Where Can People Find More Information About Severe Allergic Reaction? Anaphylaxis is a severe allergic reaction that occurs rapidly and causes a life-threatening response involving the whole body. This reaction can lead to difficulty breathing and shock ultimately leading to death. Most frequently, severe allergic reactions occur due to reactions to food, insect stings, or medications (immunologic causes), but they can also occur due to non-immunologic causes. For an anaphylactic reaction to occur, you must have been exposed in the past to the substance that causes the reaction, called the antigen. This is called "sensitization." A bee sting, for example, may not cause an allergic reaction the first time. Another bee sting may produce a sudden, severe allergic reaction known as anaphylaxis or anaphylactic shock. These reactions usually occur within seconds to minutes of exposure. Occasionally, they are delayed. You may develop sensitivity and anaphylaxis to a substance that you have been exposed to many times in the past without a reaction, and often people don't recall the previous exposure. An anaphylactic reaction occurs when the body's immune system overreacts to an antigen, which it recognizes as an "invader" or foreign substance. The body's white blood cells produce substances called antibodies as a reaction to that antigen. The antibodies circulate in the bloodstream and attach themselves to certain cells in the body. In an allergic reaction, the antibody is called immunoglobulin E, or IgE. When the antibodies come in contact with the antigen, they signal other cells to produce certain chemicals called "mediators." Histamine is an example of a mediator. The effects of these mediators on organs and tissues of the body cause the symptoms of the reaction. Sometimes the trigger of the reaction is obvious--a bee sting, or a new prescription drug. Often, however, the trigger is unknown. People with asthma, eczema, or hay fever are slightly more likely to have an anaphylactic reaction than people who do not have these conditions. The symptoms of anaphylaxis can vary. In some people, the reaction begins very slowly, but in most the symptoms appear rapidly and abruptly. The most severe and life-threatening symptoms are difficulty breathing and loss of consciousness. Difficulty breathing is due to swelling and/or spasm in the airways (which can include swelling of the tongue or the large and small parts of the airways). In very rare cases, breathing can stop altogether. Loss of consciousness is due to dangerously low blood pressure, which is called "shock." In the most serious cases, the heart can stop pumping altogether. These events can lead to death from anaphylaxis. While some symptoms are life threatening, others are merely uncomfortable. Generally, a reaction must involve at least two different body systems, such as skin and heart, to be considered anaphylaxis. Skin: Most anaphylactic reactions involve the skin. Breathing: Swelling of the surrounding tissues narrows the airways. Cardiovascular: Blood pressure may drop to dangerously low levels. Act quickly if someone experiences the symptoms of an anaphylactic reaction. True anaphylaxis is a medical emergency and requires immediate treatment in an emergency department of a hospital, where the person can be watched closely and life-saving treatment can be given. It is impossible to predict how severe the allergic reaction will be. Any person who shows symptoms of anaphylaxis must be transported to a hospital emergency department. If swelling develops rapidly, particularly involving the mouth or throat, and you have trouble breathing or feel dizzy, light-headed, or faint, call 911 for ambulance transport to the hospital. Anaphylactic reactions are diagnosed solely on the basis of signs and symptoms. No specific tests are helpful. Your health care provider may order tests to rule out other conditions. Do not attempt to treat severe reactions or to "wait it out" at home. Go immediately to the nearest emergency department or call an ambulance. While waiting for the ambulance, try to stay calm. Take an antihistamine (one to two tablets or capsules of diphenhydramine [Benadryl]) if you can swallow without difficulty. If you are wheezing or having difficulty breathing, use an inhaled bronchodilator such as albuterol (Proventil) if one is available. These inhaled medications dilate the airway. If you have been given an epinephrine kit (EpiPen), inject yourself as you have been instructed or have someone else perform the injection. The kit provides a premeasured dose of epinephrine, a prescription drug that rapidly reverses the most serious symptoms of anaphylaxis (see Follow-up). If at all possible, you or your companions should be prepared to tell medical personnel what medications you take and your allergy history. The first priority in the emergency department is to protect the airway (breathing) and maintain adequate blood pressure. The emergency team will make sure that your airway is open and that you are getting adequate oxygen. Oxygen may be given through tubes into the nose or by face mask. In severe respiratory distress, mechanical ventilation may be required. In this situation, a tube is placed via the mouth into the air passages to keep the airway open. The tube is connected to a ventilator (providing oxygen directly into the lung). In rare cases when the swelling prevents placing an airway through the mouth, a surgery is performed to open an airway (tracheostomy). If blood pressure is dangerously low, medication to increase blood pressure will be given. An intravenous (IV) catheter will be inserted. This is used to give saline solution to help boost blood pressure. The IV line may also be used to give medication to combat the reaction, as well as medications to stabilize blood pressure. You may need to be admitted to the hospital for further monitoring and treatment. Epinephrine: Given in severe allergic reactions, epinephrine is extremely effective and fast-acting; it acts by constricting blood vessels, which increases blood pressure, and widening the airway. Epinephrine is given by injection into the muscle, through an IV line, or by injection under the skin. If low blood pressure does not improve, additional medications, such as dopamine, may be given. You will usually be observed for at least six hours after the beginning of the reaction. Occasionally, a reaction will seem to get better and then recur, and even worsen, in a few hours. Sometimes the severity of the reaction will require admission to the hospital. Upon leaving the hospital emergency department, you should immediately obtain the medication prescribed for you. You should carry these at all times to prevent another reaction or lessen its severity. The epinephrine autoinjector (known as EpiPen) should be kept with you at all times in case you are exposed to the antigen that caused the first reaction. The autoinjector contains a premeasured dose of epinephrine in an easy-to-use syringe. As soon as an exposure occurs, you immediately inject the epinephrine into your thigh muscle. This is extremely effective and fast-acting. Anyone who has experienced an anaphylactic reaction should carry one of these autoinjectors after consulting with your physician. Medical attention is always required right away, even if you have treated yourself with epinephrine. A follow-up appointment with your primary care doctor, and possibly an immunologist, should be made. Strictly avoid contact with the substance (allergen) that was the trigger. If the trigger is a food, you must learn to read food labels carefully. When ordering foods at restaurants or eating in friends' homes, ask about ingredients. Be aware of ingredients that may contain triggers. Avoid eating foods if you can't confirm their ingredients. If your reactions are severe, contact the manufacturer to assure that the triggering food was not processed in the same area as a food to which you are allergic. If the trigger is a drug, inform all health care providers of the reaction. Be prepared to report what happened when you had the reaction. Wear a tag (necklace or bracelet) that identifies the allergy. Make sure all your medical records are updated to include this allergy. Insect stings are more difficult to avoid. Wear long-sleeved clothing outdoors. Avoid bright colors and perfumes that attract stinging insects. Use caution with sweetened beverages outdoors, such as uncovered soft drinks. People who are likely to be re-exposed to (or are unable to avoid) an allergen that has caused them a severe anaphylactic reaction in the past should see an allergist for desensitization. Skin testing may be required to help identify the allergen. With appropriate and timely treatment, you can expect full recovery. With severe anaphylaxis, although rare, people may die from low blood pressure (shock) or respiratory and cardiac arrest. Food Allergy and Anaphylaxis Network - This web site shows the proper way to use the epinephrine self-infection kit. For low blood pressure to be a problem there needs to be a symptom associated with that low number. Readings below 120/80 may be normal depending upon the clinical situation. Many people have systolic blood pressures below 100, but some people develop symptoms with pressures that low. Symptoms of low blood pressure occur because one or more of the body's organs is not getting enough blood supply. "Anaphylaxis: Rapid recognition and treatment"
What was the treatment for your anaphylaxis? What symptoms did you experience with your anaphylaxis?